Collect all the gold and then reach the exit without being eaten! Lode Runner is my take on the classic platform game. Your job is to collect all the gold in each level while avoiding the phantoms. Doing so will unlock a portal to the next level. 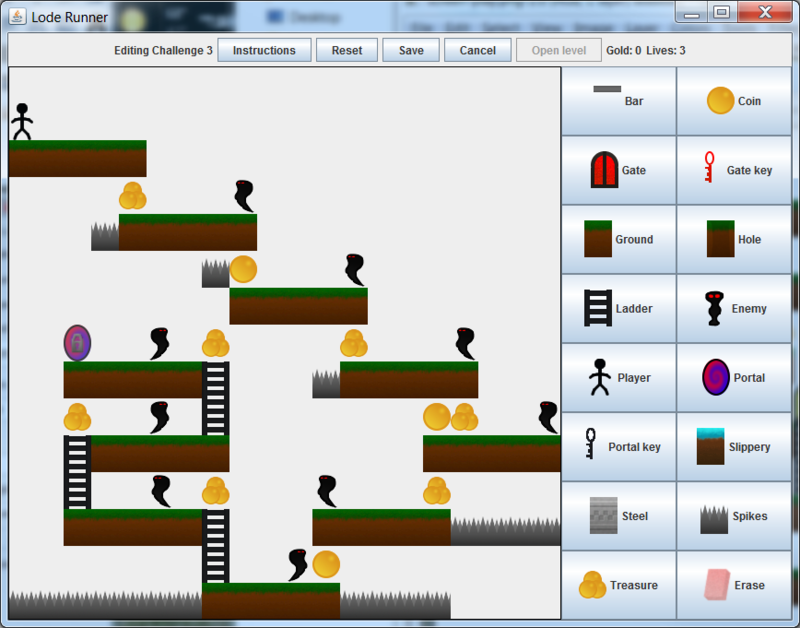 The game includes a level editor. Use the WASD keys to move. You can walk left and right, climb up and down ladders, and climb across bars or drop down from them. Falling doesn't hurt, but spikes do. Press Q or E to dig to the left and right, respectively. Phantoms will fall into holes you dig and drop any gold they are carrying. You can walk on top of a phantom in a hole. Holes eventually fill back in. If a phantom is in a hole when it fills back in, it will respawn. There are many different types of objects you can interact with. The campaign will introduce them to you. For example gates act like walls until opened with a key of a matching color. The download includes a LodeRunner.jar executable file. Double-clicking on the file will run the game. It also includes the source code and images if you'd like to modify or build the game yourself. 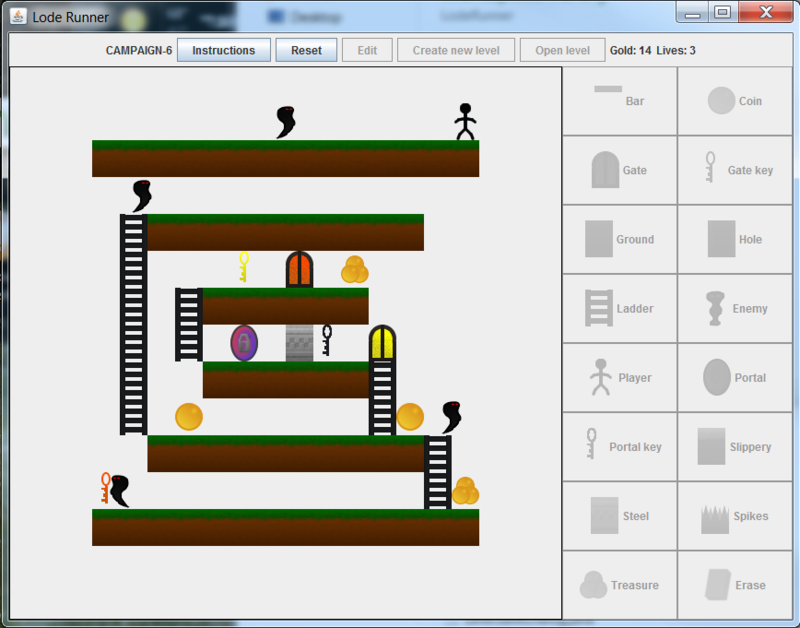 The source code and associated images for LodeRunner is released under the GPLv2.